The present divisional hierarchy of US pro soccer came about as a result of a schism between the United Soccer Leagues and a group of team owners that came to be known as the Team Owner’s Association. Unhappy with the sale of USL by Nike to NuRock Holdings, the TOA formed the new North American Soccer League as an alternative to USL. There was contention over which league would be sanctioned as US Soccer’s official second division. 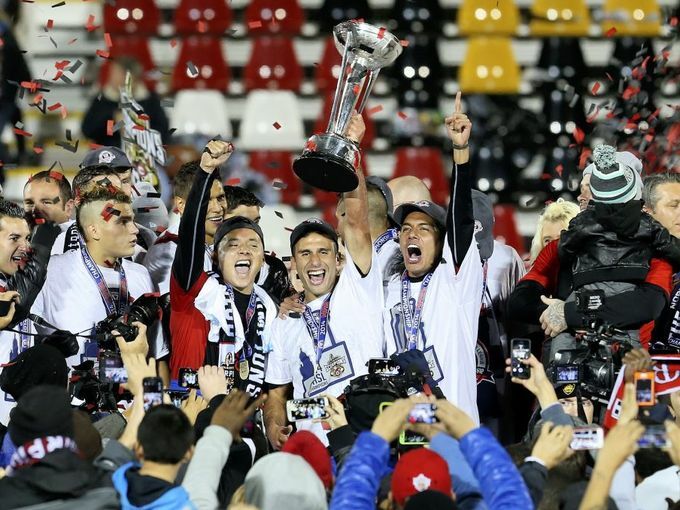 After a season shared by clubs from both leagues in an United States Soccer Federation-forced joint venture called USSF D2, the federation determined that NASL would proceed as the country’s second division and USL would be the third division. These “Soccerwarz” are chronicled in a book by that name, by Kartik Krishnaiyer, who served as the communications director for the NASL during that period. Like many wars before it, the resolution of that conflict planted the seeds of the next one. The decision by the USSF will be a landmark one, either way they call it. Their decision will set a precedent as to whether the nation can have two professional leagues operating at the same divisional tier on the so-called national pyramid. If they decide USL can be Division 2 alongside NASL, in theory then NASL could one day be Division 1 alongside MLS, so long as it survives and thrives to meet the D1 standards. If they decide against sanctioning USL as D2, it could cement the three pro leagues into their current levels for the foreseeable future. USL certainly has some outstanding success stories, but the USSF will need to look at the league as whole when determining where it ought to sit in the national pyramid rather than just examining the USL’s upper echelon clubs like FC Cincinnati, Louisville City FC and Sacramento Republic FC. They must also look at the clubs who are struggling. And then there is the matter of the MLS reserve teams. The USSF must weigh heavily whether they want MLS reserve teams in the second division. Reserve Teams In The Second Division? Reserve teams are handled differently across the top soccer nations in the world. The English leagues do not have any reserve teams in their official pyramid. There is a separate reserve league system for them. The German leagues permit reserve teams in their official pyramid but reserve teams are not allowed to play above the third division. The Spanish leagues will allow reserve teams to be promoted as high as the second division. USSF must decide where it feels reserve teams must top off. In a country as large as the United States, with so many metropolitan areas capable of supporting clubs at the D2 level, it would seem an odd choice for the USSF to allow reserve teams in the second division. For the sake of limiting participation in D2, USSF could choose to draw the line between Type-2 and Type-3, Type-3 and Type-4 or Type-4 and Type-5. The Portland Timbers interest in starting a second USL team based in Boise may point to a future where, similar to Minor League Baseball, MLS teams have multiple affiliated clubs across division levels. In truth, USL is a hybrid of a reserve league and a championship league, and to be suitable for the next level up, they may need to alter the very formula that is driving their success. One fluke year in the Open Cup notwithstanding, it is difficult to argue that USL teams are as strong on the field as NASL clubs top to bottom. Still, the league certainly features several clubs that could hold their own in Division 2. A less hyperbolic interpretation of Estopinal’s sentiment would be to read it as meaning the USL has a stronger business model than NASL. Certainly, the explosion of growth in the USL demonstrates the league is attracting more investors than NASL. 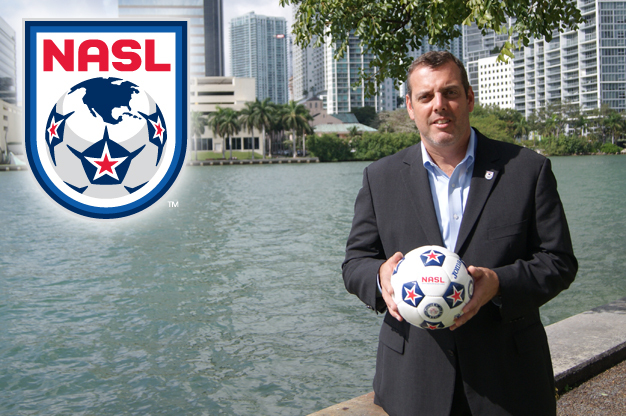 The primary driver of the USL’s appeal over NASL for investors is lower operating costs. Two key factors driving that are reduced travel costs due to regional play afforded by the quantity of teams in the league, and the potential for an MLS affiliation to provide a club with an infusion of resources from outside. Jones’ statement that teams should be able to work their way up through the leagues is so simple and obvious yet so far away from the truth of the present situation in US club soccer. It is not only that the USSF “pyramid” lacks promotion and relegation, but it also lacks any real cooperation between NASL and the other two leagues. A team like Louisville that may have reached its potential in D3 should move up to D2. A better functioning model would see successful USL teams advance to NASL before MLS, and struggling NASL teams drop down to USL. The partnership between MLS and USL makes sense for both leagues on a lot of levels. The reserve teams and affiliates in the league allow MLS teams to develop talent better. It is a way for owners of USL teams to reduce expenses and showcase future MLS stars, similar to the model of minor league baseball. However somewhere along the way Division 3 become the preferred path to Division 1, bypassing Division 2. Years ago the San Antonio Spurs acquired the rights to a USL franchise in the Alamo City. They were beaten to market by Gordon Hartman’s San Antonio Scorpions, a NASL club with an unique business model. The profits of the Scorpions went to support Morgan’s Wonderland, an amusement park for special needs children run by Hartman. After four successful seasons, Hartman sold Toyota Field, the Scorpions’ expandable stadium, to San Antonio city and Bexar County. The Scorpions ceased operations, clearing the way for the Spurs-owned San Antonio FC to launch in USL, playing out of Toyota Field. The beautiful part of the San Antonio soccer story is that Hartman was able to turn his Scorpions investment into a win for a more noble cause. That is certainly the bigger picture in that story. However, in the less important picture of US club soccer structure, the case demonstrates the bizarre triangle existing between MLS, NASL and USL. Ever since the Scorpions debuted to impressive crowds in NASL, San Antonio had been a vocal candidate for MLS expansion. The Spurs/San Antonio FC ownership intends to accelerate those efforts. They could have easily acquired the rights to the Scorpions in NASL and demonstrated their suitability for the big leagues in the second division. Instead they decided to enter San Antonio FC into third tier USL. Shouldn’t owners with ambitions of D1 be placing their teams in D2? The answer would be yes, in a system that is not as dysfunctional as the one we have now. The reality is that a club like FC Cincinnati, which is an obvious MLS attempt in major league media market, chooses USL over NASL today, because of the partnership between USL and MLS. MLS leadership is aligned against pro/rel. Deal with it. Don Garber further signaled MLS leadership’s alignment against pro/rel with this comment, “Promotion and relegation was created in the 1800s. It was a system that existed because there was no other way that existed to create good competition. They were amateur teams. If you were to create professional football in England or Italy or Spain today, I don’t believe you’d have promotion and relegation. We need to create a league that works for the fan base in this market. So let’s be clear, promotion and relegation involving MLS is not happening. With MLS at the top level, USL to support it as a minor league, and PDL below that at a widespread regional level to develop local talent, you can see the system Kraft envisions coalescing. There is no place for NASL in that vision. In that MLS-centric vision, USL proceeding into D2 status makes some sense. Even if you subscribe to that world view, there are serious questions as to whether USL in its current form warrants D2 status. 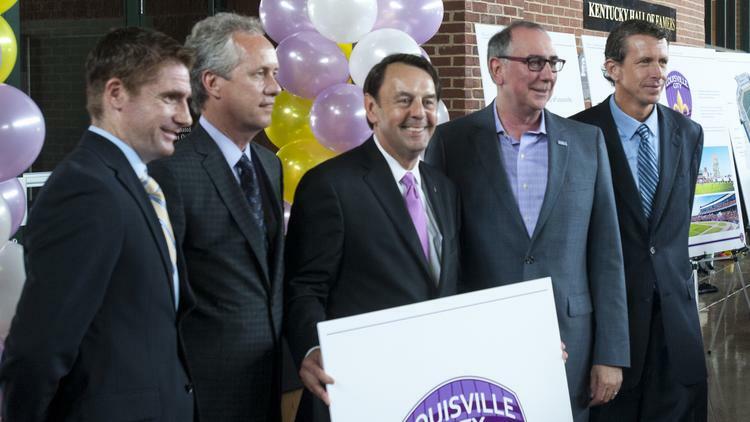 To build off of what Louisville president Amanda Duffy suggested above, USL may need to either cull the herd or split into two tiers, one D2 and one D3, in order to create a D2 league that makes sense. 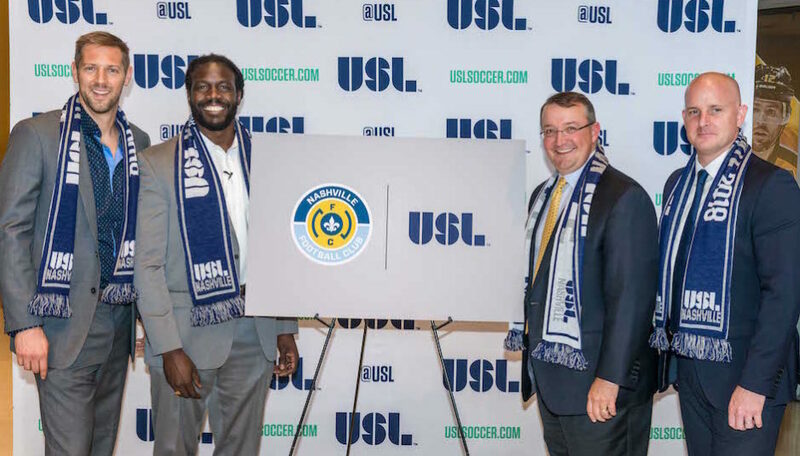 The USL had two tiers during the 2000s, prior to the USL/TOA split, known as USL-1 and USL-2, so it would not be the first time this has happened. A respectable USL-D2 league could consist of Sacramento Republic FC, FC Cincinnati, Louisville City FC, San Antonio FC, OKC Energy, Richmond Kickers, Rochester Rhinos, Colorado Switchbacks, Arizona United, Charlotte Independence, Saint Louis FC and the Tulsa Roughnecks. As a consequence of their elevation to D2, those clubs would also lose the reduced travel benefits of today’s large, regionalized USL. It is also worth noting that half of these teams are open about ambitions to move to MLS. USL-D2 serves as an incubator for MLS, until MLS decides it is finally done expanding, which will likely happen when MLS reaches 32 teams. Then USL-D2 becomes the top available landing spot for a club in the MLS-USL system. As a Sacramento or St Louis moves on from USL-D2, a Nashville FC or other independent team in a market that meets D2 standards needs to be ready to step in to keep the number of teams respectable. This may not be an issue, as USL appears to be aggressively targeting expansion to the largest remaining markets without pro soccer. NBC reported that a San Diego USL team is in the works, while reports suggest that the small market Wilmington Hammerheads will be taking 2017 off as the team’s ownership looks into relocation to a larger market, rumored to be Baltimore. If the top USL clubs were to ascend to a USL-D2, USL-D3 could remain a division below it featuring the reserve teams alongside the weaker independent clubs that Duffy suggests may have trouble keeping up with the increased standards that the stronger clubs introduce. With the weaker independents and the reserve teams in one league, USL-D3 should be able to remain highly regionalized to keep up the lower travel costs that is one of the attractive selling points of USL today. Below USL-D3, USL’s Premier Development league could continue to play the role it plays today fostering amateur and semi-pro talent in markets across the country. Just as Nashville FC is stepping up from the fourth division NPSL to USL, FC Tucson and Albuquerque Sol FC are looking to make the leap from PDL to USL (D3) in the coming years. Coupled with strong academy programs, a pyramid consisting of MLS, USL-D2, USL-D3 and PDL gives MLS and USL a complete talent and market development system akin to the partnership between Major League and Minor League Baseball. What Would USL-D2 Mean For NASL? USL’s ascent to second division status would put the North American Soccer League in a precarious position. With its D1 ambitions, NASL has set itself up as a potential rival and threat to MLS, and MLS has proceeded in forming its major league-minor league system without NASL accordingly. Should NASL not be able to compete and survive, that will not be MLS’s problem. The NASL has three things going for it: sole D2 status, lower expansion fees than MLS and operating policies that allow owners greater control over their club and brands than MLS owners have. In this scenario, NASL would lose one of its three advantages. The recent news that MLS is planning to raise its expansion fee to over $200 million will benefit NASL as the pool of potential investors able to pay MLS’s price gets smaller. As for the other advantage, the greater freedom also comes with greater responsibility in terms of each club mapping out its own success. A NASL club can go out and spend whatever money it wants to build a team, as Miami FC has done this year, but it also must figure out its own path from a marketing perspective, for better or worse. The threat a strong USL-D2 would pose to NASL would be the potential for clubs to defect. This might be particularly appealing to those ownership groups with eyes on one of the likely last eight MLS berths. The Carolina Railhawks or Indy Eleven may feel their MLS chances are greater playing ball in USL-D2 than continuing in an adversarial NASL. Should USL’s rise to D2 become a killing blow to NASL, NASL clubs that wish to keep going would for the most part be welcomed into USL. 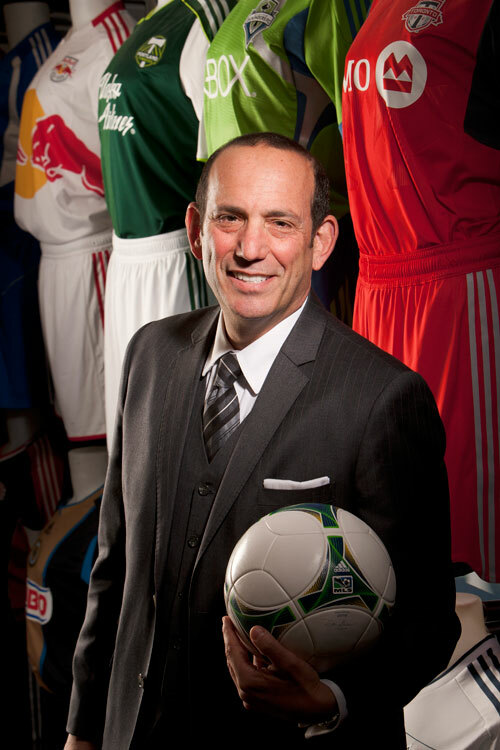 An exception to that might be the New York Cosmos, who would have to buy out Red Bull and join MLS through acquisition or return to the history books. Similarly, Riccardo Silva would have to decide if Miami FC is a worthwhile pursuit in that paradigm; Silva might have to choose between joining Beckham’s MLS group or moving on. Rayo OKC is also unlikely to find itself welcome in USL due to the presence of the OKC Energy. The ownership might have to choose between relocating or ceasing operations. Short of those three clubs, all other NASL teams could likely live on in some form in USL. In the case of the Ottawa Fury and FC Edmonton, moving to the Canadian Premier League, should it materialize, would make more sense than USL. USL getting official D2 sanctioning is a mortal threat to NASL. The NASL would need to respond by creating an alternative to the MLS-USL structure that is compelling enough to attract new investors and the many soccer fans in North America that may not embrace MLS today. In Part II of this article, we will look at how NASL could create a promotion-relegation pyramid structure independent of MLS and USL, to offer US soccer fans a worthwhile alternative to the closed system MLS and USL are developing together. San Antonio FC plays at Toyota *Field*, not Park. SS&E acquired the USL rights in 2012 after Hartman had already beaten them to the punch with the NASL franchised Scorpions. They’d had a plan all along and continued it by buying the USL rights in ’12 despite a club already being here. It’s not like they just outright chose to bypass the NASL for the USL. The partnership with MLS/USL and landscape changed significantly in 2yrs after SA soccer developments. You paint a slightly misleading picture there. I appreciate the feedback on the timing of SS&E’s acquisition of the USL rights. I believe they were looking into having a team before the Scorpions came about, right? SS&E could have, if they wanted to, acquired the Scorpions’ rights. A Las Vegas group looked at acquiring the Scorpions’ rights (http://www.empireofsoccer.com/commissioner-scorpions-silverbacks-44129/). Now, it may have been more cost effective for them to just run with the USL rights they already had, but the possibility was there. I’ve since been made aware of some of the timeline through some friends with rather close knowledge of it. They EXERCISED the rights in 2012, but apparently had the USL rights well before late ’09/’10 when the NASL was formed. Now, they chose not to joint venture with Hartman’s NASL franchise and also chose not to take it over/buy it out/etc and stay with their NASL rights … BUT their original decision to buy USL rights was made before the NASL even existed. Love how Garber completely ignores the fact that unlike NFL no one outside of MLS Koolaid Zones watches the games. 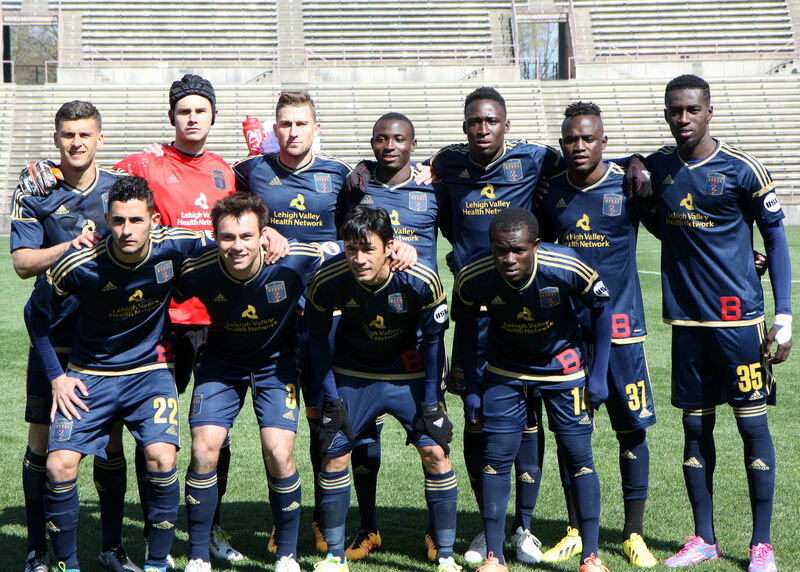 His disrespect of Chattanooga is also worthy of a kick in the teeth, as they have drawn more than some MLS sides. While we’re at it, tell Kraft that the NBA and NFL have no real minor league system. This entire thing is about monopolizing a game for money, nothing more. It’s all so very, very Trump. I would disagree with you on the NBA. They have spent the last decade and a half building the increasingly viable and useful D-League as a minor league, precisely like he is saying. Additionally, the NHL has been adding another level to their minor league system in the ECHL. The trend for pro sports is more minor leagues, not less. The NFL stands alone in its lack of a minor league affiliation. Great article! Really enjoyed reading it and look forward to the second part. The USSF could solve all of this. Just by saying that we will have an open league structure, and clubs can opt in or opt out. This won’t happen, of course, until the leadership changes radically. Currently, the top guys at USSF are in business with MLS owners under the SUM umbrella. This, if being done by a government and not a governing body, would be called corruption. The system is already open. Any league can have pro/rel with any other league. ALL THE LEAGUES HAVE CHOSEN NOT TO HAVE P/R. Division 1 has certain requirements. Anyone who meets the standard is D1. Why aren’t owners lining up to institute pro/rel? Stop blaming USSF. Nobody wants pro/rel because no one (or no group) in NA who owns soccer clubs is that stupid. They would lose billions and they would ultimately fold all the clubs. NASL has been stumbling and failing since the 70’s. It’s just a weight on US soccer, and I’m going to be over joyed when the league finally disappears for good. Great article, though! So you’d displace tens of thousands of fans of current NASL clubs in hopes that the league disappears for good? Also this NASL is NOT the same NASL as the 1970’s. The only club still in existence from that period is the NY Cosmos. The Tampa Bay Rowdies and Fort Lauderdale Strikers (previously Miami FC) are newer organizations that use the names of the previous legendary clubs but they are not the same entities. Nor is the league. Only the Cosmos are a continuous consistent entity (albeit one that didn’t kick a ball for 25 years from 1985 to 2010 but kept trademarks, etc) so saying the “NASL has been stumbling and falling since the 70s” is inaccurate. I find it impossible that a true soccer fan in the US or Canada would be “overjoyed” by the collapse of a league that has tens of thousands of fans. So I must assume you are a fan of another sport. Come on … a trademark and youth camp DOES NOT make this NYCosmos the same as the one from the 70’s. A diff entity (the youth camp) used the registered trademark to represent itself. The NYCosmos football club absolutely died. Pretty shite statement on your part. Wishing for a league to disappear that has teams with thousands of fans. All I want to do is go watch my team play soccer, and I’m thankful for the opportunity to do so. A true soccer fan in this country should want each and every club to succeed and the game to grow so even more communities can have their own local team to support, no matter what level or division it’s at. Stop drinking the MLS haterade. And there are NASL fanboys that need to stop drinking the NASL haterade. Focus on supporting your team and growing your fanbase. Direct your energies there. Don’t make d-bag statements about hoping for other people’s teams to cease to exist.